Last month we covered everything you need to know about doing your own podcast, I hope that it went and inspired you to take the leap and start your own podcast. As promised here is the first of the 4 podcasts that I am going to share with you, the folks that I am going to present to you are at the top of their field of expertise, and I was thrilled to get the chance to interview them or as they say “pick their brains”. For our first week I would love to introduce you to a good friend of mine who just happens to be a rock star at LinkedIn, so let me introduce you to Viveka Von Rosen. 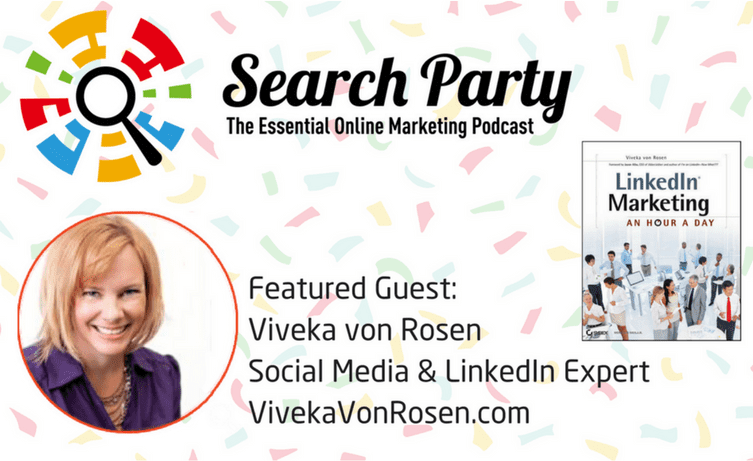 I had a great time interviewing Viveka, and I hope you learned so much how to utilize LinkedIn for you business, knowing what platforms to use to help your businesses online presence is crucial and if these podcasts help with that then I have done my job to help you get the most out of the opportunity. Stay tuned for next week when I share the Podcast I did with Crystal Washington Social Media and App Guru.